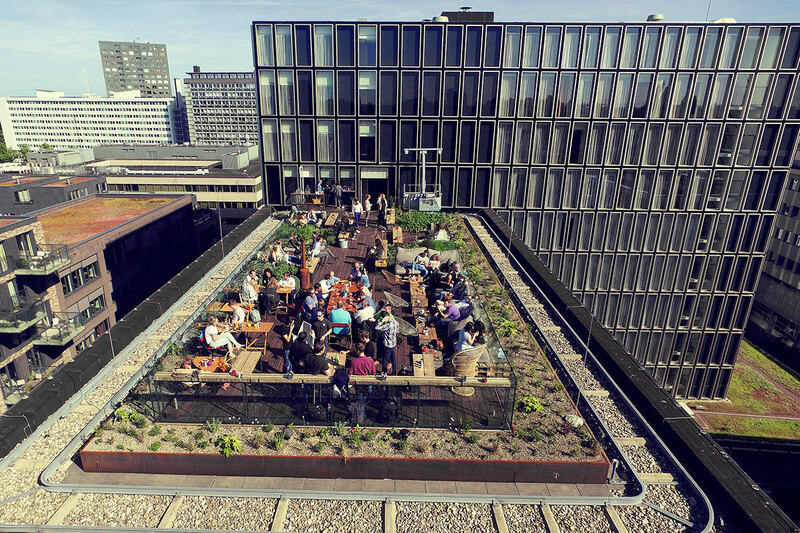 Challenge: Transforming the gravel rooftop above hotel Casa into a rooftop bar with heaps of green. 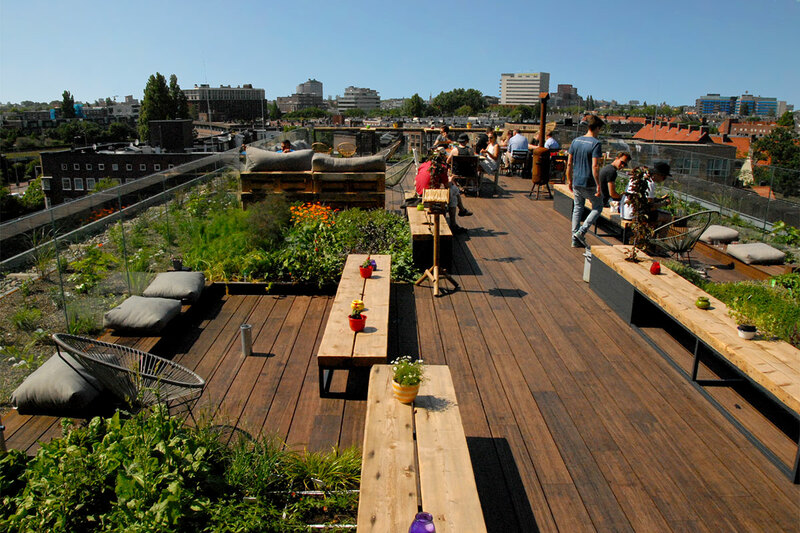 Result: A beautiful roof park where visitors can enjoy the view of Amsterdam whilst eating veggies harvested on this very roof. 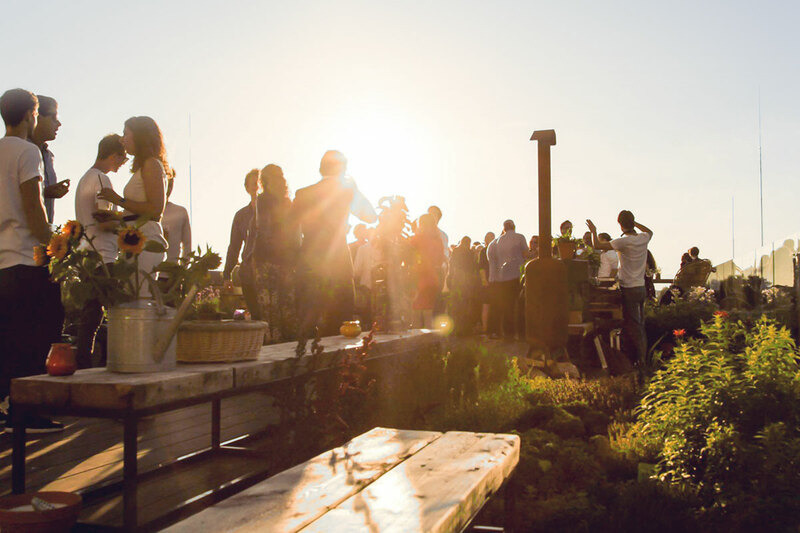 Nest is a roof terrace with lots of plants and a great amount of space to entertain guests and host parties. 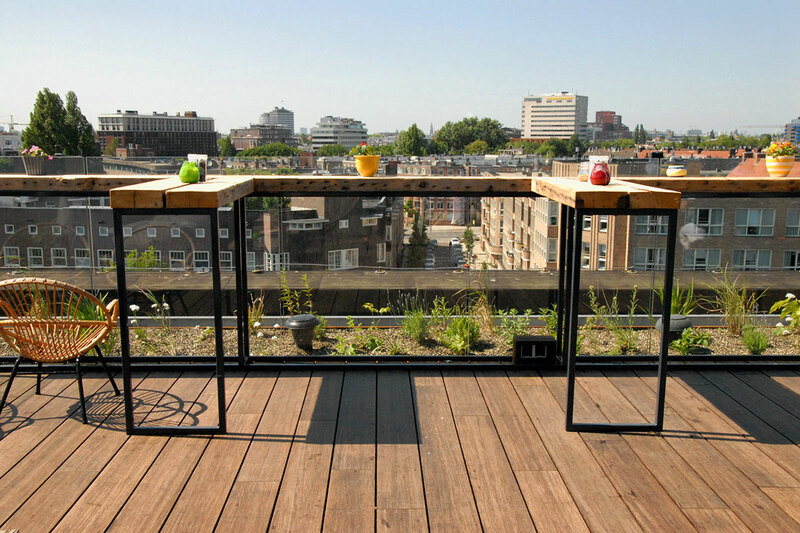 The vegetable gardens consist of Rooffood crates with herbs and vegetables which are being used in the restaurant. 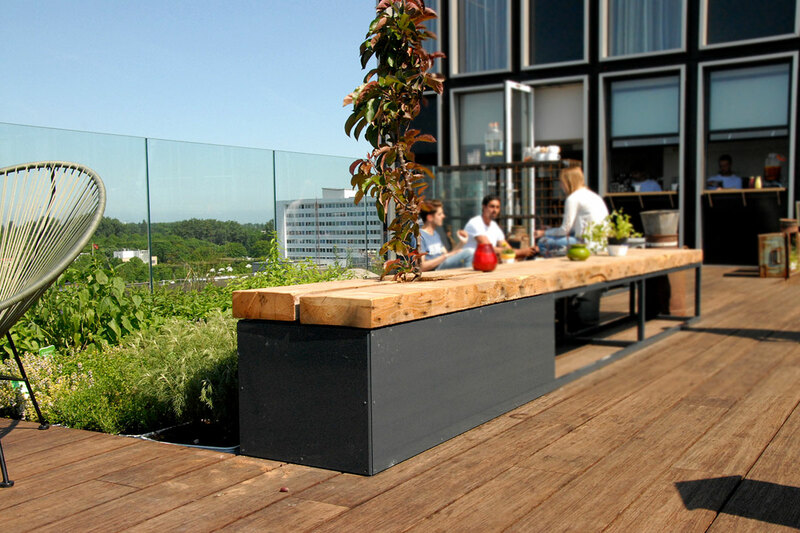 The terrace is built using a floating construction, this gave us the opportunity to play with differences in height and we integrated seating areas in the terrace. 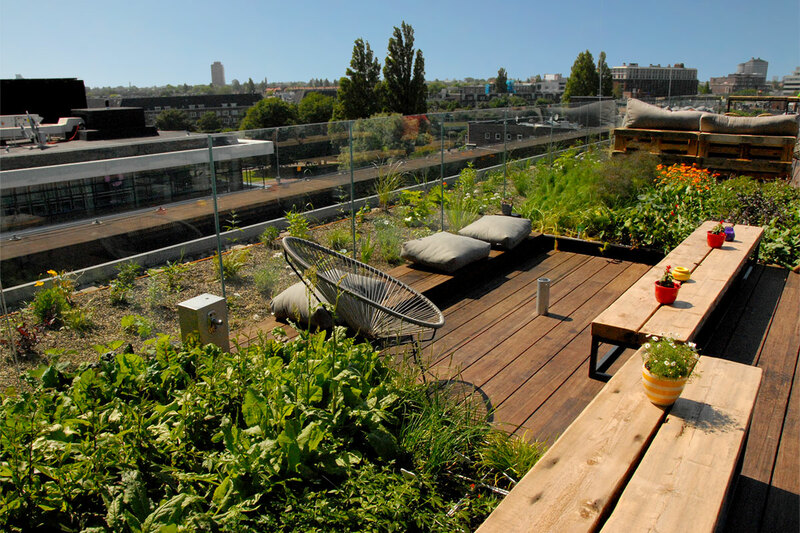 In these seats you will be surrounded by plants. 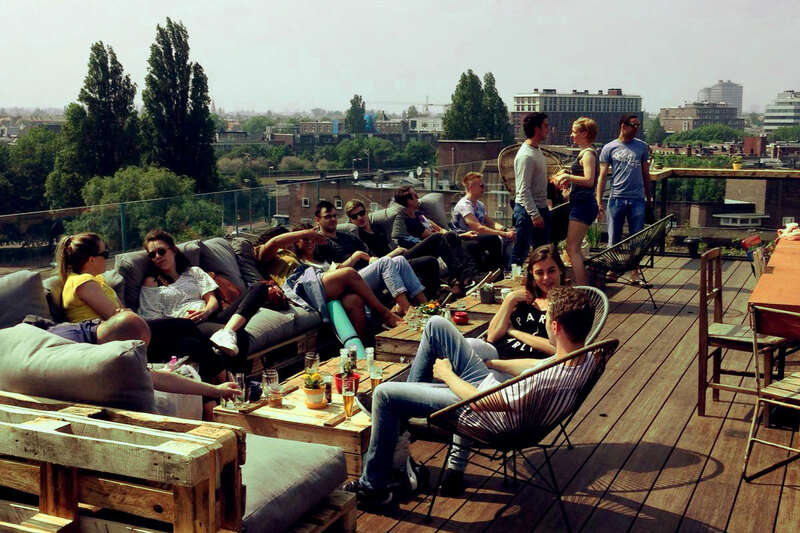 At Nest you really escape the bustle of the city.